I no longer have a need for anti-anxiety medication. 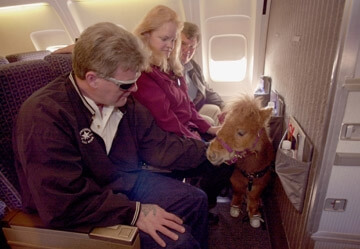 I’m going to get an emotional support pony. This is going to essentially kill two birds with one hoof. 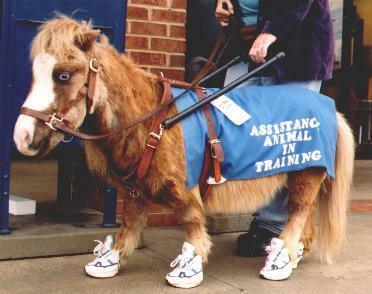 I want to get off my anxiety meds, and who in their right mind doesn’t want a miniature horse? THAT CAN GO ON PLANES WITH YOU. BlogHer anxiety?! DELETEDDDDDD. Get that muthereffing horse on that mothereffing plane. Seriously. Have you heard of emotional support animals? I mean, I get it. Puppies and other such cuddly animals have a calming effect on people. Our cat Fiona pretty much is the bees knees when it comes to that. Unfortunately she’s not a certified ESSA (Emotional Support Service Animal). Even though it seems SOME PEOPLE actually have the nerve to get letters from their doctors saying their every day domesticated animal is also an ESSA! THE NERVE, D-List actresses! I'm talking about YOU Aubrey O'Day. No one abuses their emotional support animals with boas and pink hair. I’m a little concerned that I might not have to dough to get one, BUT I WILL. I mean, this needs to happen. Right? No other logical answer. FIONA COULD EVEN RIDE IT. Maybe it could be her ESH (Emotional Support Horse) too! AND Abby’s! I’m saving lives here, people. LOOK. THIS MINI HORSE IS WEARING SHOES. *DISCLAIMER: I’m not getting one. I mean, mostly the issue is that I know I can’t afford one. Not so much the care and housing for it. And also I feel like bringing one to the bars while at BlogHer might be frowned upon. You are currently browsing the blogged bliss blog archives for June, 2012.